Publishing your local promotions is easy! Manage stores - Edit and update your store information, logo, photo gallery and vedio galelry. Publish printable coupons - Publish printable coupons, local coupons, store promotions, store coupons and discount coupons. Searchable promotions and coupons - Your local promotions and printable coupons are searchable at real time. Search Engined Optimized - Your store page and promotion page are optimized for search engines. Google Map Integration ** - We integration your local store promotion into Google Map. So your customer can find you easily on Google Map as extra web resources. Store Photo Gallery - Show off your store photos and get indexed by search engine. 24/7 Promotions - Your local promotions and printable coupon will be available 24/7. You control how long your printable coupons are available! Cross Promotions - Cross promote your local business with other local businesses near by. 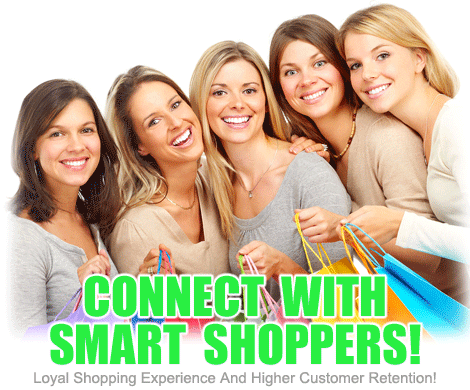 Multiple Stores - You can manage multiple stores (contact us) and publish promotions cross multiple stores. Printable Coupons Broadcast - The system will automatically broadcast your printable coupons to other coupon network automatically to increase exposures. ** There is no guarantee Google Map will include the your store inforamtion as additional web resources. Please visit our FAQs page for more information about Google Map Integration. Already a Publisher? Sign In Now! Not a Publisher yet? Sign Up to get start! We repect your privacy as our #1 priority. We use 128bit+ encryption / SSL (Secure Sockets Layer) over HTTPS to protect the information you entered through signup process. Your creadit card information will be procerssed through secured channel to Authorize.Net and will NOT be stored on our server.